Christmas has been an absolute blast and now feels like a distant memory, but don’t worry about the January blues because we’ve got some fantastic recipes to blow them away. These healthy and delicious recipes are full of vitamins that will give you a spring in your step this year. These fantastically versatile recipes could son be your firm family favourites. With minimal preparation and maximum flavour, try making these dishes ahead of time for a perfect packed lunch. 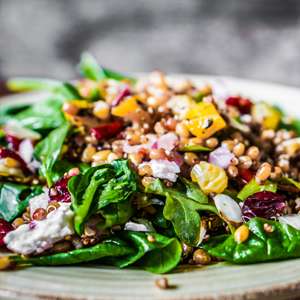 This Quinoa & Feta Salad with roasted vegetables makes a great lunch or easy dinner as it can be prepared ahead of time. Full of vitamins and nutrients this dish is fresh, delicious and healthy. Try roasted cauliflower for a nutty and crunchy twist. Cook the quinoa following pack instructions, then drain well and set aside. Meanwhile heat oven to 200°c/180°c fan/gas 6. Toss the onion and peppers with 1 tbsp of oil and season on a roasting tray, then roast for 15 mins. 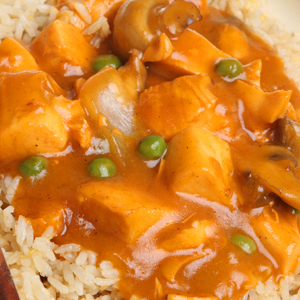 Who said you can’t enjoy a delicious Chinese curry while you’re being good this year? This recipe tastes just like your own favourite takeaway, but without the calories to match, at only 264 calories per portion. 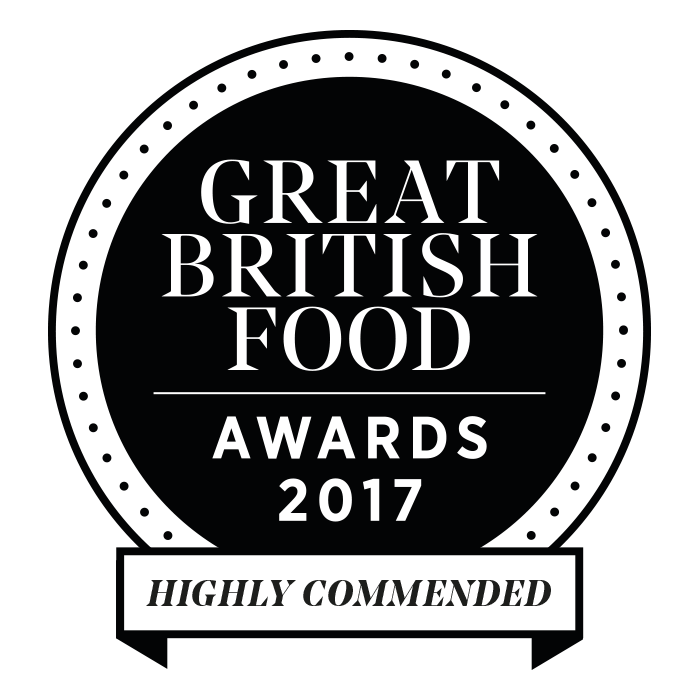 Visit our Butchers counter for some high quality, British Chicken. Fry the onion in half of the oil in a wok or heavy based pan on a low to medium heat, until it softens for about 5-6 minutes then add the garlic and cook for a minute. Stir in the spices and sugar and cook for another minute, then add the stock and soy sauce, bring to a simmer and cook for 20 minutes. Blend everything up and blitz until smooth. 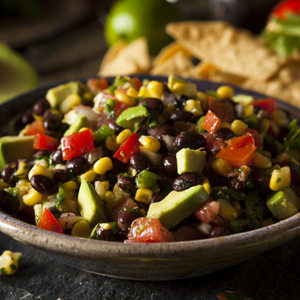 This South Texan dish makes the perfect side or even the base of a good salad. With fresh zesty flavours and packed with vitamins, it’s guaranteed to keep you full and feeling good. With such a simple recipe there really is no reason why you shouldn’t try this. Mix all ingredients together except the fresh coriander, cover with cling film and refrigerate for at least 2 hours. Before serving toss with the desired amount of Fresh Coriander. 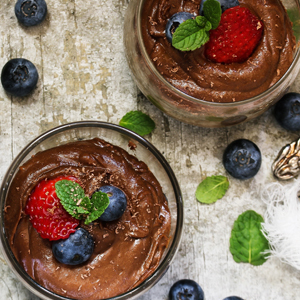 If you think that delicious chocolate puddings have to be heavy and devilish, then you should definitely try this pudding. Using low-fat yogurt keeps this delicious pud to under 160 per serving! Divide the mousse in to glasses or ramekins, then top with the berries. Chill in the fridge until set.